Living a healthy life is the pleasure of everyone in the world. However, this has not been the case with many people; they have been struggling with chronic disorders, ailments, and lifestyle diseases. As a matter of fact, lifestyle diseases is one of the major contributory factor to poor health among many people. Inherently, if you are not practicing proper dietary, and you do not engage in physical fitness programs, then there are high chances that you will not be pleased with your weight. If not checked, excess fat accumulation will lead to other complicati ons such as obesity, high blood pressure, and much more. Therefore, engaging in weight loss and fitness programs is inevitable. However, there are some obstacles to achieving the above objective, and one of them is none other unbelievable myths. 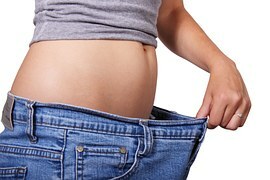 Did you know that there some biggest weight loss and fitness myths that highly misleading? 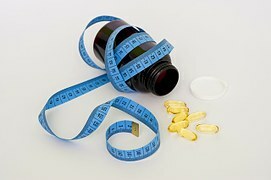 Diet pills, fat burners, and nutritional suppleme nts are advertised all over; on TVs, billboards, newspapers, magazines, and any other advertising media. Do you know who reaps the most out of these products? It is not the user; rather it is the seller and manufacturer! Mostly, some of the ingredients used to make such products are chemically made and can be exceedingly dangerous to your health. Therefore, do not just rush to the shop and buy a weight loss product without reading or listening to the warnings and disclaimers that accompany them. While swimming is an excellent exercise for toning muscles, increasing lung capacity, and burning off excess tension, the surprising truth is that even if you swim for more than five hours a day, it will not help you lose weight. Again, tens of infomercials advise people that they can achieve body fat reduction with the help of muscle-specific Exercisers. One of the adverts explains that you can reduce the size your thighs with the aid of a Thigh Exerciser! You need to be warned that this is a total fraud, rip-off, and one of the biggest myth ever. The truth is that body fat can only be reduced by combining a precise program of supportive nutrition together with the right balance of resistance and aerobic exercises. 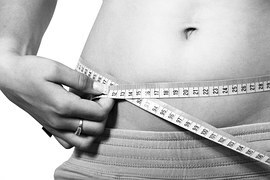 The above are some of the biggest weight loss and fitness myths that you need to avoid as much as possible. In fact, most of the infomercials contain a chunk of misinformation that are presented in the most appealing manner with the aim of endeavoring to line their pockets further at your expense.